Horoscopes are popular nowadays. People judge a person through his or her signs. I don’t prefer to understand each other in such a way with strong preconceptions. For my interpretation of fate, I borrow the Confucius saying “Fifty to know the fate.” There are many different explanations of fate, but the ‘fifties’ is often believed to be the age where one knows one’s fate. I decided to photograph identical twins over the age of fifty. He/she used to have the same face, living in the same family, but their lives changed due to various reasons after growing up. 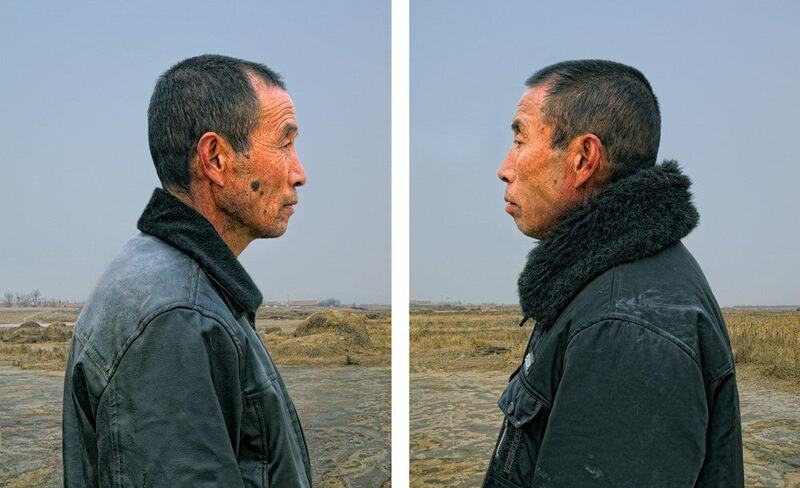 I photographed these identical twins in their fifties face-to-face. This in a way is similar to one looking in the mirror. Using people as mirrors, one can learn about gain and loss by revealing oneself.